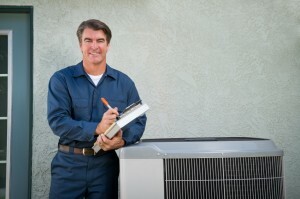 Getting the right Summerville HVAC contractor to address your needs in air conditioning and heating repairs and installations is crucial to ensuring the job gets done right and you don’t end up wasting money. For this, you need to evaluate how your chosen contractor approaches your problem and gives you solutions. Below are some situations wherein you can test the knowledge, skills, and professionalism of the contractor. If you are installing a new system, a quality contractor will insist on visiting your home, evaluating its heating and cooling requirements, and give you an honest assessment of your current system. Note that each home is unique, so the air conditioners and heaters to be used vary based on size of the rooms, types of walls, doors and windows, ventilation needs, and climate, among many others. A good contractor will not just agree to do whatever you instruct. A quality contractor will give suggestions and options. Based on their observation of your Summerville home, a qualified HVAC contractor will advise you on which type of unit to buy. With this suggestion, the priority is less on the brand name and more on the features and performance. Contractors are knowledgeable about equipment selections. They know if a unit is too big or too small for the home, whether it can generate enough power or whether your home’s structure can support it. Before installing anything in your house, a good contractor will always do the best they can to ensure your new system will work efficiently and effectively for you. This information will be conveyed to you in simple language and a reasonable estimate will be delivered. If the equipment you want to install is a forced air system connected to ducting, your prospective contractor will also need to inspect the ducts and ensure that they are properly sealed and contain no faults. It goes without saying that leaky ducts result in health complications and waste electricity. Also, ducts that are too small for heating and cooling equipment utilize more energy and provide less comfort. Of course, a responsible Summerville HVAC contractor will ensure all proper safety measures are in place. Your new heating and cooling unit needs to have correct fuses, wiring, circuit breakers, transformer connections, and other electric components. Note that a new unit may have electric requirements different from the unit being replaced so it is crucial that the contractor addresses this. When the installation of the new equipment is completed, a quality contractor will supply you with the proper instructions, warranty documents from the equipment manufacturer, and other pertinent information. These are very important for future maintenance and repairs. In addition, the contractor will also give you a copy of recommended preventive maintenance procedures. These procedures inform the homeowner about the components to be cleaned, the suggested time frames for cleaning such components, and other details involved in prolonging the equipment’s lifespan. When you have found the right HVAC contractor, be sure they provide all of these things. Then you can rest assured you’ll get your money’s worth with a great comfort system properly installed. If you are looking for a heating and cooling expert in Summerville then please call 843-819-5392 or complete our online request form.